LifestyleofPeace.com - What is truth? Who is God? What is the meaning of life? On this blog we explore the interactions between Christianity and topics like culture, politics and philosophy. The word says we must love God and love others. Jesus Christ is God come to us; He is alive. God will call all of us to give an explanation of how we lived. Trust in Jesus and receive forgiveness; a new life. Stand for the truth. Glorify Christ in how you live. A new world awaits. So here we go. Let's get right into it, my Christian brothers and sisters. The war is on, and this is a war, a war for the souls of humanity. We're at the ends of the Earth fighting a monstrous evil. Fortunately we have the power of God behind us, and that puts us on the side that has already won. But we're still called daily to fight the good fight as a good soldier of Jesus Christ. Last week I know I got somewhat political in the sermon, and I'd like to apologize for that. I'm not here to share politics with you, I'm here to share the truth of God. I'm here to share what I'm learning in the Bible. And we're always learning. So I apologize for that, and I'll try to keep politics outside of the scope of these sermons. Thank you for your understanding! I'd like to talk about ironies of life today, some that I've learned over the years. During my short time on this planet, I've started to realize that the answers to questions tend to be.. the opposite of what most of us might think. So let's talk about that, let's go into that and figure out what's going on here. Sometimes I think of my life like an RPG video game. You know, level up, gain skills, get good at it. But a lot of the time the answers to a lot of the biggest questions aren't so easy. In fact a lot of us tend to bump our heads against the wrong solutions until we end up... giving up. And just take our candy and head home. I don't want that to be my walk, or your walk. So here are some truths, and these don't come from me. These are things I've learned from others. I always thought the secret to being victorious was striving for victory at all costs on the power I have. Turns out that wasn't the case. The secret to victory is in fact, complete and utter surrender. I surrender, admit I can't do it alone, and rely on God as my power. Then I can be victorious. I learned this from a guy named Bill. So what's the secret to living and growing? A guy named Paul said that the secret to living was dying daily. He wrote some letters, from jail, about two thousand years ago. Give or take. So what does that mean? Paul is making reference to the fact that we die to ourselves, and keep applying more and more to our new selves, our selves as we ought to be in Christ. So everyday is out shutting off the spout on more bad decisions and mistakes we regularly make. So our old self dies more and more daily, and the new is taken on. Paradoxically, as we talked about last week, growing and learning for me wasn't a process of slowly learning this, learning that, and stepping up the ladder. Growing and learning for me, was complete and utter destruction of everything I understood, knew, or thought I knew. It was only by utter disaster and pain, that I was capable of being willing for true growth and learning. Willingness is really the key. And some of willingness can be learned, but a lot of it has to come from a sense of failure in the past. That one isn't easy or fun to swallow. It may not even be everyone's case, but for me, it just so happened to be quite true. So whats the meaning in all this? It's all so hard, so difficult. It's tough to swallow, all these bittersweet truths. We can end up walking to the ends of the Earth and realizing we've gone the wrong way the whole time! It's not easy being human, is it? So what's the meaning here? Well, we don't know exactly what everything in life means. But if we've taken the step of giving our lives to Christ, that has to be lived. So our meaning is found in doing God's work, his business. The business of saving souls. Philippians 2:13 For God is working in you, giving you the desire and the power to do what pleases him. Our business is doing God's business. As long as we do God's business, whatever happens to us is none of our business. That's God's business. What do I mean by that? Well, I don't have the power to control my life and where it goes. I really don't, let's just be real. I may have the illusion of that control at times, but it's really up to God where hes going to put me and use me. I can either fight tooth and nail against that and fail, or I can rely on God day by day. The idea here is that if I do some basic things daily, to make sure I'm right with God, and walking with him, then he's going to keep me in his special care. I'm gonna find a lot of special attention from my creator if I can just maintain the basics, and see if I can't grow at the same time. 2 Corinthians 5:7 For we live by faith, not by sight. We walk by faith, not by sight. 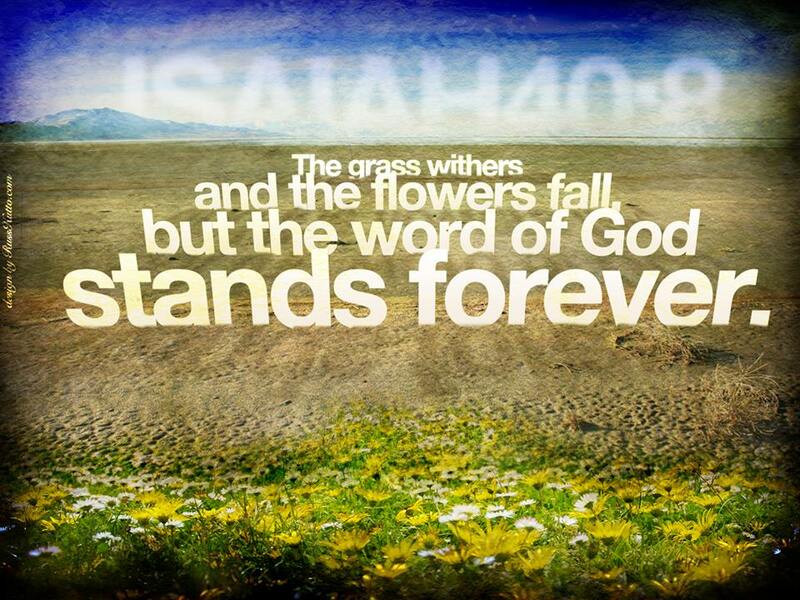 That's scripture, but what does it mean? I'll put it another way: Some say seeing is believing, I say believing is seeing. When we find that spiritual connection to God through Jesus, we start to see the true reality of everything. We see "the matrix" of lies around us, and start growing in discernment of evil. When I was in basketball, the first thing they taught us was having good form. For defense, bend the knees, wide stance, both hands down, palms open at the knees, focus, attention, footwork, all of it. So as soon as we were on defense we'd "form up" and be ready to properly defend our hoop from the opposing team. I'd like to encourage you to have a form up position within your own mind. When we minister to others, field questions, face difficult situations, come against temptation, and desperately need discernment on critical issues.. well where do we look? Is the first thing you turn to your own intellect? "If I can just figure this out" mentality? Or is it God? God loves it when we acknowledge our dependence on him. I have to remember that the first place I need to be when I'm faced with a difficult challenge, is on my knees in hard prayer. Our Father, not far off distant God, but my personal Father! Hallowed be your name! Your name is powerful it has meaning to me! Your Kingdom come! Please, please, please come, please bring it Father! Your will be done! Not mine, yours! Give us this day our daily bread. We acknowledge that you've promised to care for our daily needs and thank you for that. Amen. I agree Father, I agree with all that I've said. Prayer fortifies our form up position. It reminds us who we are. And that's probably the most important thing about being formed up in the face of evil: Knowing our identity in Christ. What does God say about us? Am I going to accept that I'm a child of the most high God, or am I going to believe what the world says about me? That I'm weak, I'm too fat, I'm too skinny, I'm too poor, I'm too wealthy, and so on. Don't let this world define you. Remember powerfully who you are in God. You have authority from Jesus the Christ, the son of the creator of the known cosmos and BEYOND! ACT LIKE IT ALREADY. How many times does God have to tell us who we are, before we'll just believe him? I know it's hard. 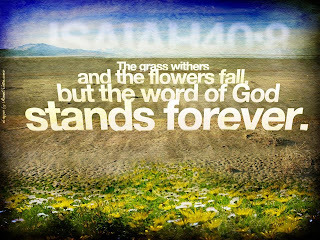 But stay in his word, and constantly recall these verses and many others! Be formed up against the world around you. It's not as easy as it sounds. The world is right here, in our faces everyday. It's easy to see the job, the house, the family, the car, the ads, the tv, the internet and start to think that this is all we have. Well it's not! It's not all we have and it's not all we are. More will be revealed, but for now, remember who you are under God. You are chosen. You are loved. You are special. You are being made holy. You are saved. You are redeemed. So let me encourage you to have a strong prayer life. Have a prayer you say every morning. Have a prayer you say every night. Do little things to remind you of your true identity in Christ. "Dear Lord, my allegiance to You will be tested today. Right now, I am stating my faithfulness to you. You are the One I love forever. At the same time, I will clearly state that I want nothing to do with serving my self. I have had enough to do with that selfish ego of mine that tries to get all the attention it can. Your principles of love and giving are what I want. Radiate in my life through acts and words of kindness. Forgive me of my sin and cleanse me. I make myself totally empty of self so that You can fill me with your precious Holy Spirit. Lead me forth. I will follow in your humble paths of love." 12 Dear friends, do not be surprised at the fiery ordeal that has come on you to test you, as though something strange were happening to you. 13 But rejoice inasmuch as you participate in the sufferings of Christ, so that you may be overjoyed when his glory is revealed. 14 If you are insulted because of the name of Christ, you are blessed, for the Spirit of glory and of God rests on you. Smile in the trouble my friends, just smile. Keep calm and smile, because you're suffering as Jesus Christ suffered. Oh the reward that awaits you, it's wonderful. I can't say I understand what that reward is, but I trust God, and I know his gifts are mind blowing. So remember to witness for Christ in the world. Do anything and EVERYTHING YOU POSSIBLY CAN! It's not hard. You don't even have to talk to people at first if that makes you nervous. Instead, if you're a quiet type (like me) buy some clothing that ministers for Jesus. I just found a cool one online for twelve bucks and it just says "got jesus?" on it. See it's just that simple. There are a lot of little things we can do to push forward the kingdom. It's not like you're giving them a sermon or ministering to them, but you're giving them a little nudge. Hey, that person loves Jesus, they might think as they see you walking by. Well, maybe I should look into that more. Fast forward to five years later and they're being baptized, because they got a little nudge from you at the right moment, reminding them of who the king is! God's ways are not our ways. God can have a person who is really depressed walk by you at the exact right moment where they see that, and it triggers an investigation that will eventually lead to a total conversion. All from a t-shirt, or a bumper sticker, or a share on Facebook or Twitter. Think about the little ways you can minister. Start a blog even! And I'm here to tell you that you're qualified if you know Jesus Christ is savior and sovereign Lord. As I grew up in my walk toward ministry I found myself against so much opposition. Ironically, the opposition wasn't from the secular world (non-saved individuals), it was from members and leaders in the church. The people claiming to want to obey the great commission, claimed believers in Christ, and I received the most discouragement from them! It's insane, I know. I don't know if they were threatened, or worried, or just plain cruel, but there it is. I encourage everyone to write, read, speak, do anything to make Jesus known! What's the worst thing? You get a few details wrong here and there? It doesn't really matter, as long as you're telling people Jesus is the way, and the Bible explains the walking. God is your qualifier, not me, not the Pastor or the Pope, just God. So take your cues from him. So yes, let's be real, true Christians. No judgement. Full of love. Full of encouragement and compassion. Full of forgiveness. Full of kind acts. Full of ministry to others. Just full of God. 22 But the fruit of the Spirit is love, joy, peace, forbearance, kindness, goodness, faithfulness, 23 gentleness and self-control. Against such things there is no law. 24 Those who belong to Christ Jesus have crucified the flesh with its passions and desires. And how do we do those things, when are hearts are accustomed for sin? Well, we remind ourselves before the day starts, and make conscious effort to be selfless instead of selfish, caring instead of cold, friendly instead of rude, forgiving instead of judging, and so on and so forth. As we actively do the good things, we become the good things. Isn't that cool? I know the word Christian turns a lot of people off. The word Christian has come to mean "judgmental hypocrites who go to church every Sunday but don't follow the ways of Christ." I don't adhere to that. The secular world can't have my word. I like the word Christian. To me the word Christian means the holy remnant of today, true friends of Christ in the world, as the secularists stampede toward disaster and the modern church completes it's walk toward being utter modern day pharisees (religious leaders during the time of Jesus who condemned and killed the son of God). I'm not interested in sugar coating any of this. Let's just be totally real about the situation. It's tough. But your Savior has already won, my friends. Jesus lives! The cross is empty, and all is well. All is well with you. So relax, just chill. Stay strong, and stay serious, but laugh and enjoy life as well. Recall your identity. Be courageous in your faith. Stand alone if need be. Remember money is nothing, you are what's important, under God. Take up your armor and sword, and be a good soldier of Christ in these last days of humanity. God be with you, and he is, he is with you right now, lifting you up. Believe it. Take care and God bless! The Tree of Knowledge and the Tree of Light: What happened in the Garden? We can change the world. Do you know how? Engage via social media. Share content. Go to the bottom of these posts, and click the social media icons to share. Talk to friends & family about Jesus. Pray often, pray hard. A few clicks, a few prayers, & the whole world changes. That's the power of God at work. This is a personal blog. The views on this blog do not necessarily represent the views or opinions of the Salvation Army, it's employees, or partners. The views on this blog are solely of those making them, based on the teachings of the Bible, in the Spirit.